I have put together a box full of my favorite things. I want the prizes to be a surprise to the winner so I won't post a photo of the contents. I will say that the winner will be receiving my favorite....magazine, drink, movie, candle, stationary, craft supplies, spa treatment, holiday decor, of course some of my handcrafted jewelry...and many more lovelies. I don't think I have ever had so much fun shopping. Buying someone else all of my favorite things. What a nice way to spend the afternoon. Just comment on this post telling me one of your favorite blogs and leaving a link. It could be your favorite cooking blog or your cousin Jenny's family blog. I don't care what it is, as long as you love to read it. Make sure to let the writer of that blog know that you posted about them! For an additional entry, let me know in a separate comment that you are a natalie's sentiments follower/subscriber/google reader. That's it. I will announce the randomly selected winner on June 29th. Good luck. I really enjoyed browsing your favorite blogs. I was trying to decide which of the many fabulous blogs I read to comment on and I just had to say Everything is Pink. This was one of the first blogs I discovered a year ago when I first started blogging and she has given me so much inspiration for crafts, events, blogging, and life. I did post about your giveaway. I noticed you mentioned the person that inspired your sidebar. I love your 'currently' sidebar and have thought about doing my own version of it. Would you mind? Oh- I have your button on my blog as well. What a fun giveaway!! A few of my favorite reads are Kellys Korner, Just a Girl, and A Little Loveliness. Thanks for entering me in your giveaway! ....and I have your button on my sidebar. This is so funny leaving so many comments! Happy Monday. 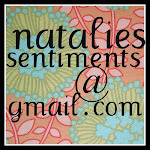 One of my fave blogs is Grosgrain (www.grosgrainfabulous.blogspot.com). She makes the most amazing clothes and always gives them away. sorry forgot to leave a link... I like Flying Giggles and Lollipops. A blog I like is Made. I am also following your blog! Love it! This is one of my daily blog reads. 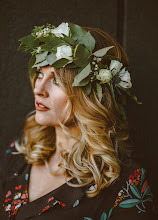 I am not planning a wedding, but I think this is such a beautifully designed blog and the images are always lovely and I the style of writing is so great, they write like I speak and think. Love it! Your blog is bookmarked in my RSS feed and it is a daily read for me. Even though I am not a mother you are an inspiration to me. I love all of her homemade stuff and her wonderful spirit. I want her to style me. Really bad. Because he's a genius. And always keeps me on my intellectual toes. I really enjoy reading the Clover Lane blog. She takes beautiful pictures. I love reading Pink Penguin because she always makes cute stuff (love the patchwork!) and she has several tutorials too! Ooooo fun giveaway!!! My favorite blog is The Lettered Cottage...she has the best decorating taste! I have blogged about your giveaway! 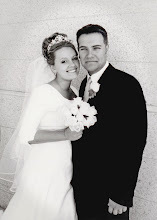 One of my favorite blogs is Dandee (http://dandeedesigns.blogspot.com/). Such fantastic ideas and a great approach to family life! I've gotten some great ideas of fun things to do with my 2 and a half year old son! one of my favorites is Summertime Designs at http://www.summertimedesigns.blogspot.com/ not only are her designs so much fun but she is simply amazing... sort through some of her old posts to read about some of her trials and triumphs! i grabbed your new button!!! I tweeted about it, too! What a fun giveaway! Thanks for doing it! I am a subscriber, and have been for awhile now. Love your blog too! But I love all my blogs I subscribe too. Each has their best part and love their posts. I really enjoy reading The Pink Teapot, a blog about etiquette. I would love to try your favorite things! I enjoy your style. I've gotcha on my google reader! ♥ I've added your new button! Love it by the way!!! Oh, and I do subscribe to your blog via Google Reader. I enjoyed reading all of your favorite blogs. It's fun to find new ones! 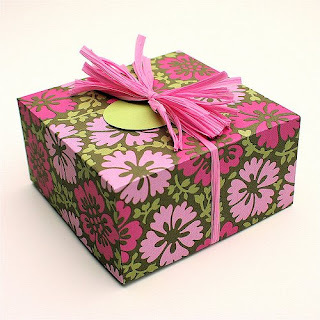 One of my favorite crafting blogs is makeitandloveit.blogspot.com and the inspiredroom.net is a great home decor blog that I like to get inspiration from for my own home. I like your new button! I added it to my sidebar! I now sport your button on my blog. Thanks for the giveaway! I will add your button to my sidebar right NOW! Thank you for sharing your favorite blogs - I can't wait to check them out!! She shares her great "junking" finds, crafts, etc. It's a really cute site. I've been a follower of yours for awhile, and it's one of my favorites as well!! and your blog...it is sweet I just love it! I also have your Sweet new button! Nielson's inspiring blog. The nie nie dialogues. One of my favorite blogs is www.thewiehns.com Sara is a friend of mine and always takes such sweet pictures of her kids. Plus, I think her kids and my kids could all be siblings. Especially her youngest and my middle daughter. I also have your button on my blog. Thanks for all the chances to win! sweet! what a fun idea :) i'd simply love to win some of your favorite things! a fav read of mine is "a room somewhere"
A blog I like to read is Bakerella.blogspot.com - probably because I wish I could make all the cute and yummy things she makes! And, of course, I like to read yours! I just added the new button! I have really been slacking on my blog reading these last few months, but I always read your blog, and mrspriss.com! Great giveaway idea!! I blogged about your giveaway on my house queen blog! the blog I like to read is Overstuffed she is so really and I love that about her. And you can't forget your blog to me you are so classy! I have your button on my side bar. I have blogged about your giveaway too. 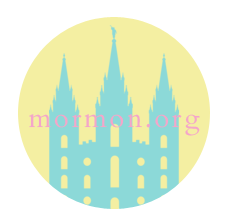 Since I live in Utah, all of the blogs done by Nie Nie and family have become almost as important to me as my close friends and family blogs. You can't forget their brother, who recently retired his blog, but you can still check here and read his archives. He is Hilarious!